House Geckos are small lizards, native to the southern Asia. They are named so because they are mostly found climbing the walls and ceiling of human home. they are also called Asian House Gecko. 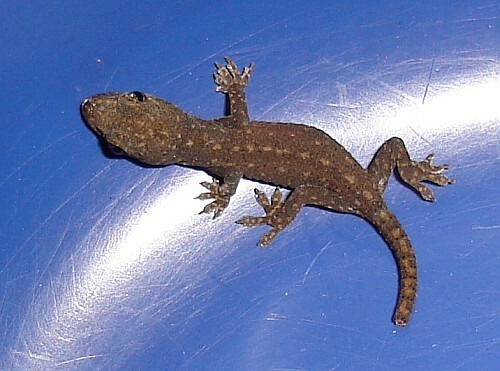 House Gecko grows up to a length of about three to six inches. Its body and limbs are of moderate size. It has a concave forehead with a long snout. They have large eyes without eyelids. The length of the snout is longer than the distance between its eyes. They have triangular head with small round ear opening. 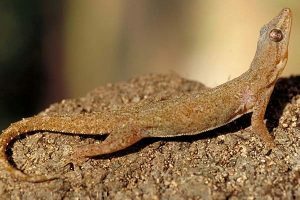 The tail of the house gecko is covered with smooth scales. They have broad padded toes without webs. Their entire body is covered with small granules which are more prominent and bigger on the snout. Their body color varies between pale yellow to grayish white. House geckos are native to the Southeastern Asia. They are found in Philippines, Taiwan, Polynesia, Somalia, Madagascar, Mauritius, Andaman Nicobar Island, Bangladesh, Bhutan, Nepal, Sri Lanka, Thailand, Indonesia etc. It was introduced to other countries like Australia, Mexico, Eastern Africa, Brazil, United States etc. House geckos have been named so because they are mostly found around human homes. However they are found in tropical rainforest and dry lands, around bushes and low trees. House geckos are active at night. They stay motionlessly under artificial light to hunt down insects attracted to the light. They run back to their shelter if they feel threatened. Like most of its species, house gecko leaves its tail when it is alarmed. They create a squeaking sound while fighting or during the breeding season to attract the female. House geckos prefer areas of hot climates and mild, short winters. They can survive short periods of cold climate. House geckos mainly feed on small insects. House geckos live for about five years. 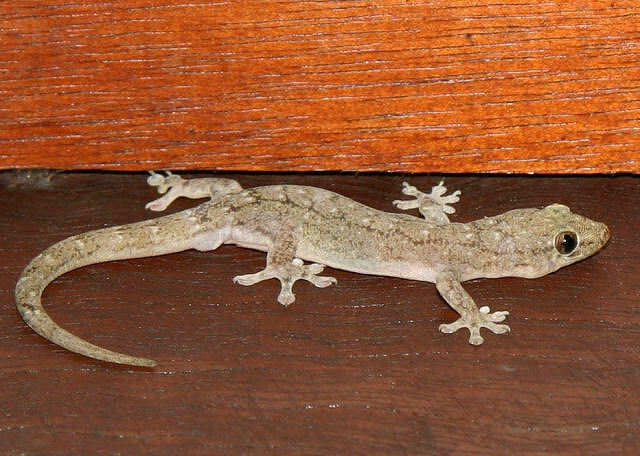 House geckos become sexually mature within a year. Their mating season starts from March to July. Females lay one to two eggs between April to August. The belly of the female house gecko is translucent hence one can see the eggs inside the belly. House geckos are tiny inexpensive lizards which can be kept in a vivarium as pets. Since they are extremely fast, it’s not easy to handle them. They have an amazing climbing skill. Keeping house gecko as a pet, it’s important to find a vet on exotic animal and not just a cat and dog vet. A spacious terrarium would allow the house geckos a vertical space for climbing. Since the male house geckos are territorial, it is better to keep one male per terrarium, females get along. The terrarium of the house gecko should have at least 2 to 3 inches of substrate to maintain humidity level and to support live plant. Substrate of coconut fiber, reptile bark and mulch bedding is recommended. Aquarium gravel or sand should be avoided. Some believe that, since house geckos are nocturnal, they do not require exposure to UVB light. However some experts feel that providing UV light is essential as it affects the overall health of the house geckos. House geckos should be provided with a daytime temperature of 77 to 88 degree Fahrenheit and the temperature should be lowered to 70 degree during the night. The temperature can be regulated by ceramic heat element or a heat mat under the terrarium. A night bulb would keep the heat at night. A moderate humidity level of 60 to 70 percent relative humidity is required. House geckos drink from the water droplets from the mist. House geckos should be fed in the evening. The adults can be fed in alternate days but the juveniles should be fed daily. They can be fed with small invertebrates. They feed on crickets, fruit flies, silkworms, mealworms and other small insects. House geckos need space to climb so branches live plants and driftwoods would be recommended. They require hiding spots too. A shallow dish with fresh water should be provided. A tank which offers height. 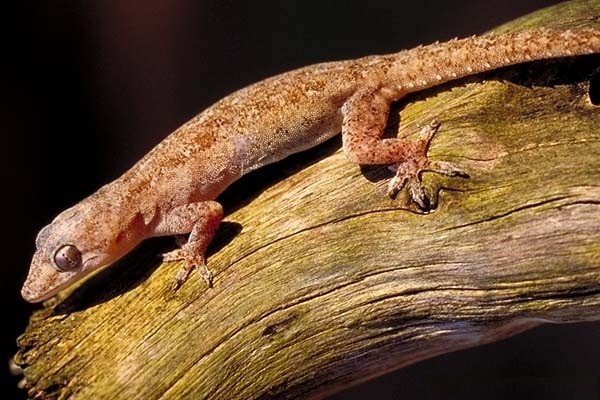 Reducing insects in the house and the yard would cut down the food supply for geckos hence would keep them away. Blocking the cracks through which they enter the house by spraying bug spray once in a while on the door and window sills. Geckos prefer warm and humid areas therefore turning down the temperature at night helps. Keeping mothballs helps too but since they are toxic they should be avoided if you have pets or children. Native to the southern Asia, house geckos have also established in the other warmer parts of the world. They have been one of the successful invasive species. They are found mostly in and around the human houses and therefore their name arose. They are good in keeping insects and spiders away. House geckos are not threatened species. They are very territorial and fight for their food supply therefore might threaten the native geckos in the area. 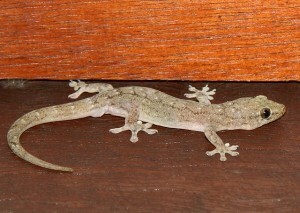 Here are some of the pictures of a house gecko. Created the greatest areiclts, you have. Living in coastal SC, we have an established house gecko population! Many newborns are seen every day and night, about an inch long and very fast! They are fascinating reptiles and my feral cat loves to eat them!